But what about internal competition from the also upcoming Maserati Levante? It’s no big secret that Jeep is currently developing a new flagship SUV that’ll sit above the Grand Cherokee in the lineup. 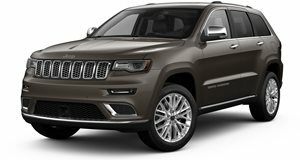 Likely to be called the Grand Wagoneer, a famous name from Jeep’s past, the goal for it is to compete with world’s premium SUVs, namely the new Land Rover Discovery and even the Range Rover. Jeep global brand director, Michael Manley, recently told Autocar that he’s "always talked about Grand Wagoneer and that for (him) is a big focus and will fill out the brand at the top." It’ll have three rows of seating along with proper off-roading abilities. But if Jeep is going for all-out luxury here, then it may run into a bit of a hurdle. Maserati is also developing an SUV of its own, likely to be called the Levante. Now that Jeep and Maserati are divisions within the same parent automaker, some are wondering whether there could be a potential internal clash. Manley begs to differ. "Maserati and Jeep are two very different brands," he stated. "I have zero sleepless nights about the launch of their vehicle. The Levante will play in a part of the market that Jeep is not playing in...Jeep and Range Rover have historically competed. 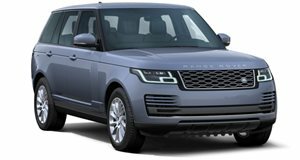 Range Rover is the other pure SUV brand in the world. So they will always be our competitors."